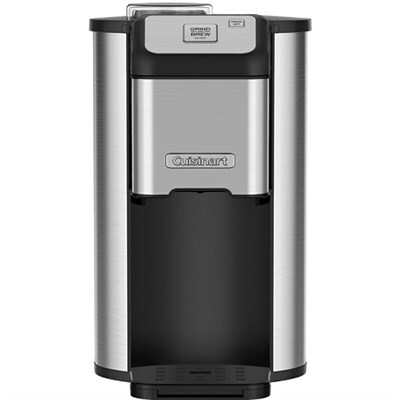 Savor every deliciously fresh cup with the Cuisinart single cup grind & brew. Choose your favorite Coffee beans and let the built-in grinder start the transformation into sixteen ounces of beautifully brewed, gourmet quality Java every time. For Caffeine on the go, drip tray is removable to accommodate a travel mug. And cleanup is easy because all the removable parts are dishwasher safe. Blade grinder automatically grinds whole beans and dispenses ground Coffee directly into filter basket. Removable drip tray accommodates Travel mug, kindly refer the user manual given below for troubleshooting steps.